Teena Marie Mural v2.0 - Yo! Venice! 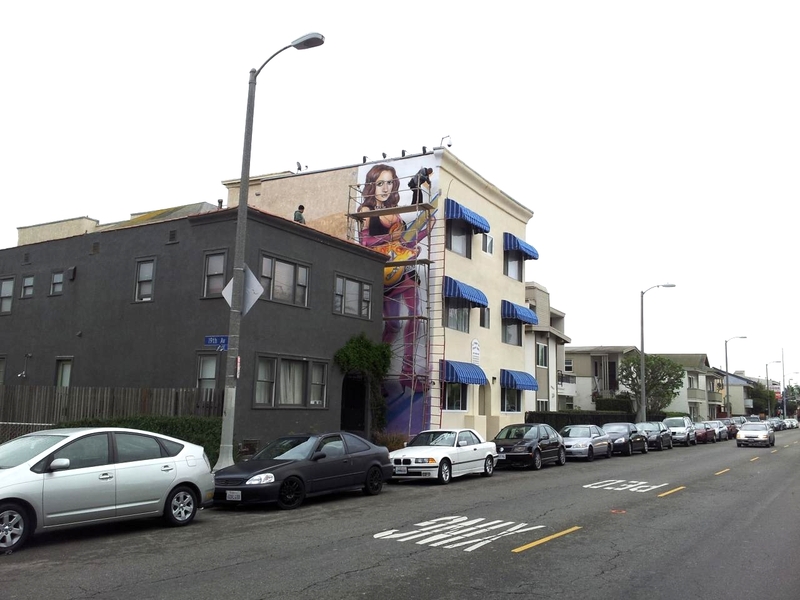 The Teena Marie Mural at 1902 Pacific is being redone, less than a year after being “completed”. The mural, funded by Tony Vera and Mike Tyson, was originally to be painted by muralist Rip Cronk. After some “artistic differences”, Cronk stepped aside and muralist Jordan B. Nice created the 1st version of the Teena Marie Mural. Not happy with the outcome, Vera and his mural partners have now gotten Hector “HEX TGO” Rios to redo the mural. Rios is well known in LA for his iconic CONART designs and also as the founder of the “Hip Hop Shop”.